Set during the final exam week of a creepy, isolated college campus, Final Exam is an exemplary example of a quintessential 80's slasher film, the paramount difference being that it cares a tad more about its characters than most of the slasher films being churned out during this era and contains a wealth of character development that some may find annoying, yet others will find refreshing. It features an unknown killer stalking a group of students who have stayed behind the final day of exams for one reason or another. While not overtly violent or gory, Final Exam is perfect viewing to get into the Halloween spirit with because it, perhaps better than almost any other slasher film of the 80's, creates an almost unbelievable amount of tension and atmosphere through its setting; there are a plethora of places the killer could be hiding at any time and the director makes tremendous use of this. The isolated college campus is an amazing set piece and the chilly, October-like weather in the film adds to the atmosphere. It's a spooky film that delivers and charm only found in the 80's. Most importantly, it contains one of the best final chase scenes between killer and final girl ever filmed. 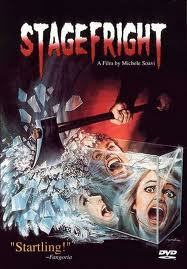 Simply put, Stagefright is one of the best slasher films of the 80's, if not of all time. There is nothing else that quite matches the style, atmosphere, and tone of this film: it is like an explosive horror music video. The film centers around a group of young thespians rehearsing for an upcoming musical who become trapped in the theater with a psycho killer who disguises himself with a giant owl head mask. The use of color and imagery in this film is striking and there perhaps is not a more unsettle image than that of the killer in his giant owl costume walking steadily down the long, dark corridor of the theater armed with an ax. The blood and gore flow in buckets and this film definitely represents the violent aspect of Halloween. Still, it does provide some genuinely frightening moments, such as the scene where the final girl is trapped underneath the stage with the killer directly above her. Funeral Home is definitely a slow burn. The pacing of the film is steady and deliberate, with the real payoff coming in the last fifteen minutes. However, the film never manages to get boring and is able to create and maintain an uneasy tension throughout. With a plot reminiscent of Psycho, the film tells the story of a young girl who goes to her grandmother's house, a formal funeral home and now bed-and-breakfast, for the summer. From the get go, it is obvious something is not right, as she begins to hear creepy noises in the basement and see strange things. Soon, visitors of the bed and breakfast begin disappearing. Who or what is lurking in the darkness of the funeral home? Like Final Exam, this film also captures the nostalgic 80's horror feel exceptionally well. It's creepy and unsettling and will definitely get fans in the mood for some Halloween celebrating. Also, the film features and brilliant performance by Kay Hawtrey as Grandmother. 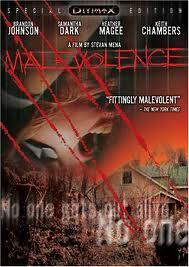 The most recent film on the list, Malevolence has to be one of the most underrated horror films of the last decade. It's certainly not so much forgotten as it is unknown and under appreciated. The plot is simple: a group of bank robbers hide out at an abandoned farmhouse, unaware that they are only a short distance away from a madman who begins stalking and murdering them. After sitting through countless lame films that claimed to be homages to the slasher classics, but were really just terrible copies, it was a wonderful revelation. It is a true homage done right. It pays tribute to the likes of Halloween and Friday the 13th by not simply copying the now cliches from those films, but utilizing them in a different, stylistic manner that sets the tone and mood of the film perfectly. The director cleverly sets up a scene to end the way the audience would expect, but then does something completely different. And while Malevolence may have its share of shortcomings, it is a truly scary and suspenseful movie that will make you jump more than once. The best way to view this film is to turn off all the lights, crank the volume of the television, and sit back and enjoy the experience. It's a terrifying experience oh so fitting for Halloween! If one can set aside the controversy surrounding director Victor Salva and the young star of this film and simply enjoy the final product, he or she will be subjected to one the last great horror films of the 80's that strikes the right balance of style and substance. Clownhouse tells the story of three young brothers, one with an immense fear of clowns, who are left home alone and decide to visit a circus. Unbeknown to them, three metal patients recently escaped from a nearby institution and end up at the same circus, where they murder three clowns and disguise themselves in the clown costumes and make up. The three psychopaths follow the boys home and subject them to a night of stalking and terror. 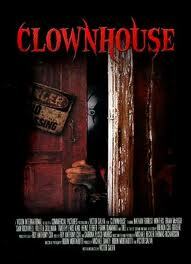 Clownhouse plays out almost like a dark, twisted fairy tale, mainly do to Salva's unique and eloquent direction. He is able to resurface on our most basic childhood fears in the most frightening way possible. Much like Carpenter's Halloween, the focus here is less on the blood and guts, but rather on creating uneasiness and tension. This uneasiness is escalated by the fact that the protagonists of the film are young teenage boys barely in Junior High. Clownhouse is truly a terrifying film that is perfect viewing for the month of October. Pair it with the original Halloween and watch the sleepless night come full force. The only one of these I remember seeing is Stage Fright. Gawd, that scared me so much! Thanks for these tips. I'll check some of them out to see if rentable. 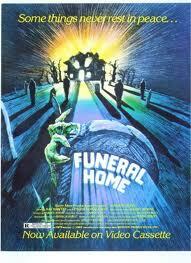 Haven't seen FUNERAL HOME yet (but it's in one of my Mill Creek boxes), but all the others here are simply awesome. CLOWNHOUSE is one of my favorite horror movies of all time, MALEVOLENCE is a wonderful Carpenter-tribute, STAGE FRIGHT is badass 80s Italo-suspense, and FINAL EXAM... well, I'm one of the few who really, really likes this flick.